This product is an alkaline laundry stain remover formulated to treat stains from medicines, ointments, lipstick, grease and more. Designed for use in institutional and industrial laundry applications, especially in healthcare settings. Safe for use on bed linens, towels, blankets, dresses, uniforms, rags, coveralls, etc. Effectively penetrates and dissolves soils before washing. 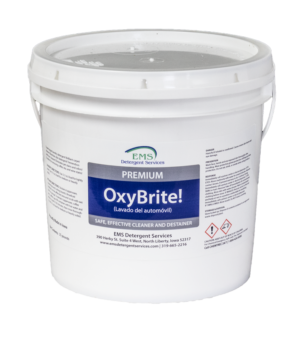 Fortified with powerful solvents, surfactants and pH builders for rapid penetration and removal of stubborn soils. Rinses entirely in the wash, leaving clean fabric behind. An essential product for maintaining spot-free laundry without damaging the fabric. Non-flammable and non-toxic. Biodegradable.